Dogs have a free spirit. That's why they are able to love humans the way they do. Their pure fun loving nature never becomes more apparent when they are out on the streets. They love to roll around in the grass, run around with their tongues hanging out, and brutally hunt down a Frisbee or a squeaky toy. However, their untainted love for everything around them can also land them in trouble. Countless dogs end up getting separated from their parents while on the streets. This often happens when they try to chase a car or a moving object and cannot find their way back to their parents. Some dogs even have the habit of simply wandering off in an attempt to explore the outside and they often get lost in the process. This is where dog collars are such an important buy. First of all, it lets people around the dog know that it's not a stray encouraging them to take action to find the owner. 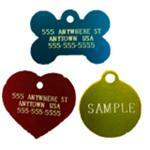 Collars with dog tags can also display vital information such as an address or a phone number. 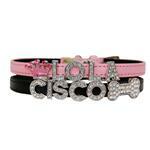 Apart from these, some products such as the Seresto flea collar helps protect the dog from fleas. A flea collar is a convenient and safe way to protect your dog from these parasites. 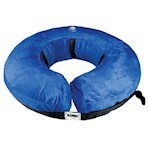 Check out all the options available at PetCareRx to find exactly what you need.